may be the man to call if you need a Silent Film Pianist. His evocation of childhood piano lessons, being taught “Chopsticks”, segues into a cracking romp through his favourite classical pieces and culminates with Rhapsody in Blue, via a car chase, a Hurricane and some pratfalls. His version of “St James infirmary” with a soupcon of moody “Summertime” is also a highlight. But he saves the best ’til last. Richard leans over as he finishes his set and asks what he’ll play for an encore, but I’m still hypnotised by the 20-minute long nostalgiafest of “Southern Nights” with its evocation of Allen’s childhood visits to his Creole grandparents in the bayou (“My father would take us there, to show us where we came from, so we would know where we were going… we didn’t care much about the philosophy… but we liked the ride”). I can’t think, but Richard says, quizzically, “On Your Way Down”? “Freedom For The Stallion”? And I say it’s unlikely that he’ll do the former… and then he does. It’s the moment of the night (read about it here). Finally catching up with the Gene Clark documentary, The Byrd Who Flew Alone made me want to a) check out Roadmaster, and b) move to Mendocino: beaches, trees, backroads, wine. Seen on WowHaus: The Palm Springs estate Elvis and Priscilla Presley honeymooned at in 1966 is on the market for US$9.5 million. The house at 1350 Ladera Circle is “designed in four perfect circles, on three levels, incorporating glass and peanut brittle stonework for indoor-outdoor living.” Boasting art deco design and furnishings throughout, the four-bedroom, five-bath estate was recently “restored to is 1960s splendor” and includes a pool, private garden, tennis court, fruit orchard and – because this was the King’s castle – a stage. It’s nestled at the base of the San Jacinto Mountains, with ‘the honeymoon suite’ offering a panoramic view of the Santa Rosa Mountains & the Coachella Valley.” Peanut brittle stonework? I know, a shelving exhibition! But it’s fantastic, not only for the iconic shelving systems, but for the witty way that they are dressed. 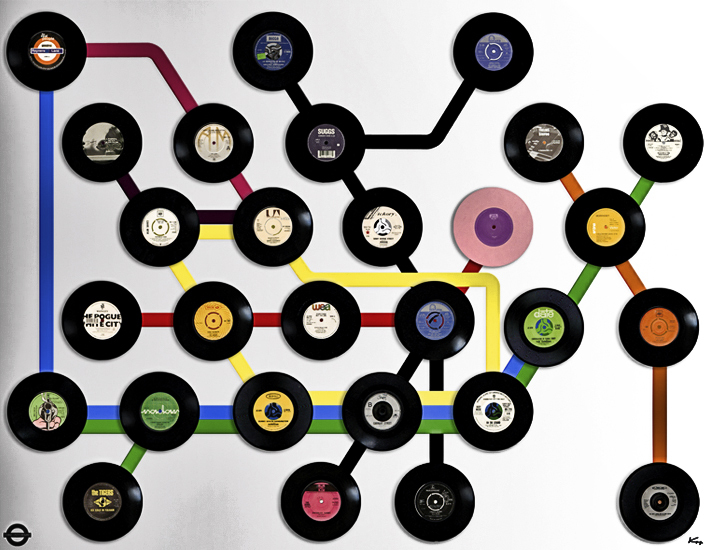 This is the most music related, but the weakest of the exhibits. Go see the century brought to life through tiny things on shelves. I don’t feel qualified to even comment on this extraordinary piece from John Jeremiah Sullivan for The New York Times. If this is a subject you’re interested in, just read it. And watch the beautifully made films accompanying it (Photographs and video by Leslye Davis, production by Tom Giratikanon). And at the bottom, listen to the songs. And finally hear the Kronos Quartet’s version, scored by Jacob Garchik, to hear another setting of a melody so singular, so strange and so unique. A lovely tribute from Allen T, who had produced one of his albums, led me to this: the poise and perfection of both guitar and voice are really affecting. They’re wrong about five of them, I reckon. 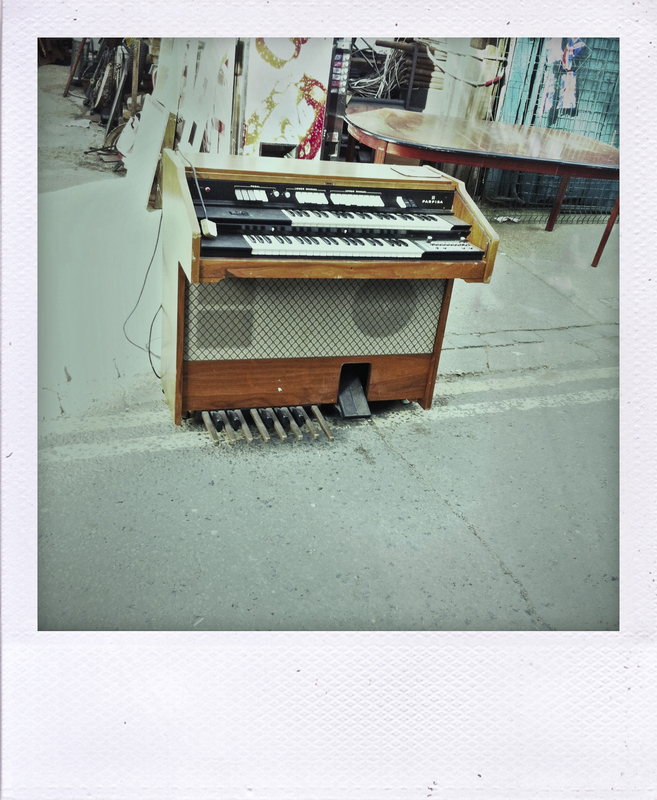 Farfisa Organ, Steptoes & Son Scrap Yard, Peckham. Company bought. And downsized (again). Off to Iceland, will call when I’m back. Thanks for pointing me to the astonishing Geeshie and Elvie article, an extraordinary tale beautifuly written and presented.